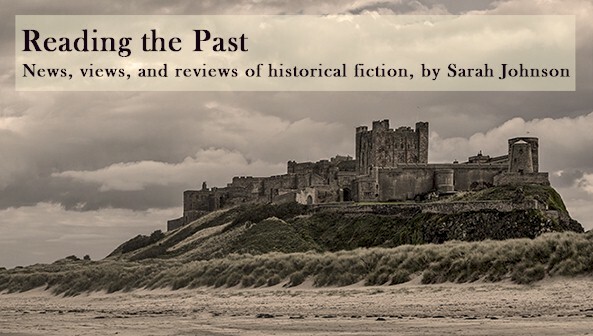 Harrigan’s newest epic adds to his reputation as a stellar historical novelist. Set mostly in Illinois in the 1830s and '40s, it takes a powerfully astute look at the public and private sides of the young Abraham Lincoln and the agonizing struggles he endured trying to reconcile the two. Paralleling his character development is that of Springfield, the prospective state capital, where hogs roam the dirty streets while speculators and political men muscle in, all seeking to “live a life of consequence.” Among the most prominent is Lincoln, a lanky and popular member of the General Assembly with a talent for off-color jokes and capturing a crowd’s attention. The events are seen from the perspective of fictional poet Cage Weatherby, who becomes his close friend. This works well, for Cage also has a riveting personal story and can hold his own in scenes with Lincoln. Full of wild ambition, yet awkward around women and prone to depression, Lincoln takes his time working out his approaches to the polarizing issue of slavery and to the ebullient and refined Mary Todd. In addition to fine character depictions, readers get a firsthand glimpse of early Illinois politics, a physically dangerous and occasionally bloody affair, while experiencing a tale about ethics, morality, and the nature of courage that feels as vital as today’s news. 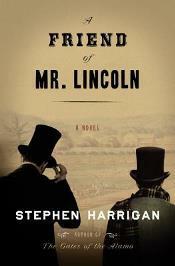 A Friend of Mr. Lincoln will be published in early February by Knopf ($27.95, hb, 415pp). This is the version of a starred review that I'd submitted to Booklist for their January issue. I was so pleased to be asked to review this book; I had been seriously impressed by the author's earlier Remember Ben Clayton, plus this new novel takes place close to home. And for those familiar with the current state of Illinois politics, you'll want to read what it was like in Lincoln's time. Yah! This novel must have particularly interesting to you. Posted too quickly. I had meant to add that when it comes to Lincoln, in any stage of his life, he's always particularly interesting. And this is a part of his life that hasn't been written about extensively (at least in fiction), since it precedes his Washington years. It's especially interesting to read about his time as a circuit-riding lawyer and the situations that would shape him and his opinions later in life. Another note I'd meant to add after my review but forgot to. There's also some great commentary in the novel on the state of publishing (since Cage is an author aiming to be published) in terms of what the industry decides is of popular interest and worth acquiring. It's all very relevant to today, too. I love Richard Slotkin's novel, The Young Lincoln, which deals with his time prior to Springfield and reading law. The novel is particularly interesting, as are all of Slotkin's historical fictions, because he's a tremendous historian of American history. Not often do writers have the ability to be equally good at both professions. I have a copy of Slotkin's novel (acquired before I moved out here, I think) but haven't read it yet. Thanks for the recommendation!